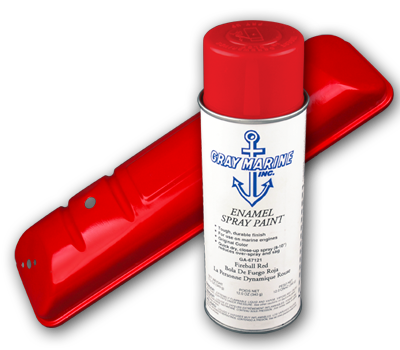 Gray Marine Manifolds Available Soon! Special formulation created by Seymour Paints, produces a coating of superior durability under various stress conditions. Restores original factory engine color. Currently we have Fireball Red avalable with other colors coming soon. Give us a call for more information.